A 3-star property with 105 spacious and contemporary designed guest rooms and suites, located in the Central Business District of Muara Enim Region, designed for business and leisure travellers with a demand of distinct level of services and facilities. The hotel houses 105 rooms. All rooms are modern in design, combining classic contemporary look with exceptional comfort and convenience. All suites feature a separate living area, a spacious work desk, a large bathroom with bathtub and are complemented by WiFi, LCD TV and minibar. Sleep easy on customized Zuri Dream by King Koil bedding with a plush pillow and duvet blanket. The wellness center is a harmonious cocoon where every imaginable indulgence awaits. In house spa offers combination of internationa treatments with a uniquely Indonesian spa philosophy; while the gym is equipped with a range of exercise equipments. Facilities also include a swimming pool, sauna and whirlpool. The hotel houses 4 function rooms and a spacious The Grand Ballroom function area accommodating up to 1200 guests all together for a variety of occasions. Surrounded with a number of natural water fall (BEDEGUNG, NAPAL CARIK, CURUP AYUN), Ancient Budhist Temple of Candi Bumi Ayu, Pre-historic Megalithicum site, Just a short drive to the best 18-hole Golf Course in South Sumatera province (TANJUNG ENIM), and Near to the largest international standard sporting complex (GOR PANCASILA). 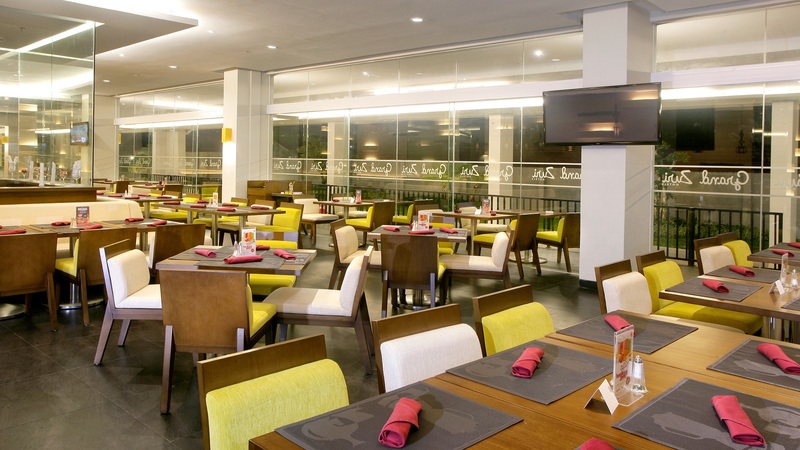 Cerenti Restaurant offerswide selections of meals for breakfast, lunch and dinner; from local Indonesian dishes to international fares, with Korean and Japanese cuisine specialties. Interiors are designed to create a professional yet welcoming ambience. 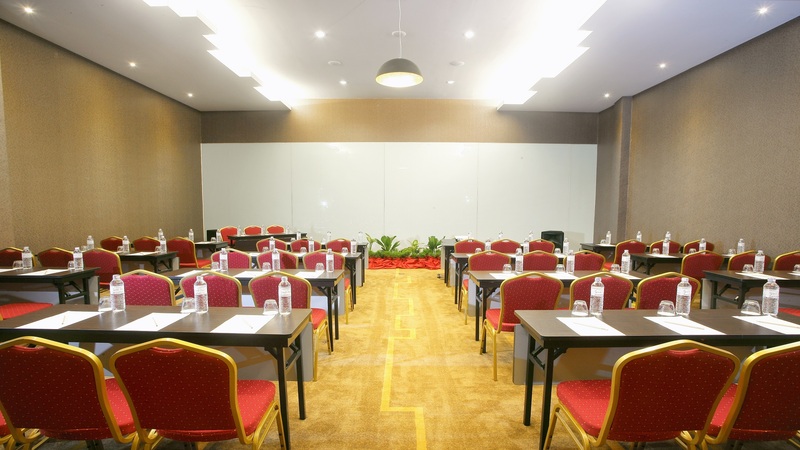 Designed for business and tourism, the Grand Zuri Hotel Muara Enim strategically located in Muara Enim, one of the most famous of the local area. Hype City Centre is located just 1.6 Km from here. 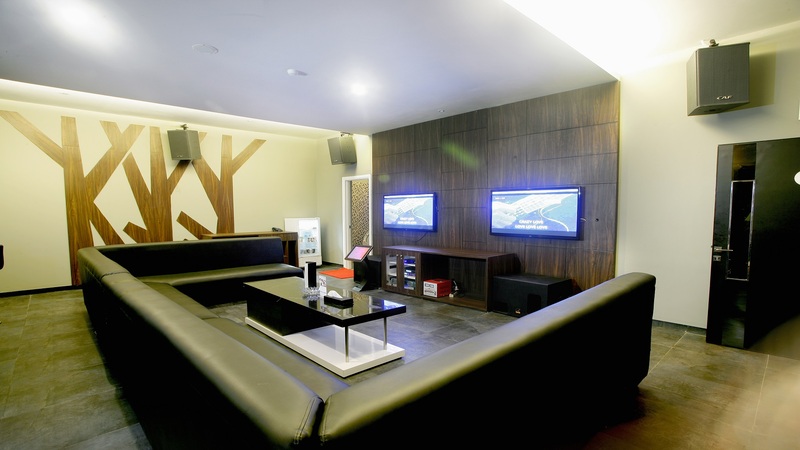 With its strategic location, this hotel offers easy access to must-see destinations in the city.